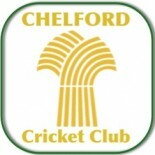 Chelford Cricket Club are pleased to announce that Australian Jamie Robinson will be joining the club for the 2014 season. This is a exciting move for the club and Jamie’s abilities will help the club progress both on and off the pitch. This entry was posted on April 7, 2014 by marcus9982 in Uncategorized.